The Robert Maxwell Byers Award, in the amount of $1000, is for the best clinical or basic science research paper submitted for presentation at the annual meeting of the American Head and Neck Society. Robert Maxwell Byers, M.D. was born in Union Hospital, Baltimore Maryland on September 24, 1937. He grew up on the Eastern Shore of Maryland in the small town of Elkton. Very active in the varsity sports of baseball, basketball and track during his high school years, he continued his athletic participation at Duke University along with his pre-med studies. He entered the University of Maryland Medical School in Baltimore in 1959 where he excelled in his medical studies and received membership in AOA and the Rush Honor Medical Society. The highlight of his sophomore year was his 1961 marriage to Marcia Davis, a high school sweetheart. During his junior year, he was commissioned an Ensign in the United States Naval Reserve and later rose to the rank of Captain in 1986. In 1963, Dr. Byers begin his general surgical residency with Dr. Robert Buxton at the University Hospital in Baltimore. Five years later, as a fully trained general surgeon, he went to the Republic of Vietnam with the 1st Marine Division where he received a unit commendation medal and a combat action ribbon. On return to the United States, he spent a year at Quonset Point, Rhode Island Naval Hospital as Chief of Surgery. In 1969, the American Board of Surgery certified him. After discharge from the Navy in 1970, he and his family moved to Houston, Texas where he began a fellowship in Surgical Oncology at the University of Texas M.D. Anderson Cancer Center under the guidance of Drs. R. Lee Clark, Richard Martin, Ed White, William MacComb, Richard Jesse and Alando J. Ballantyne. This move proved to be a decisive event, as he never left. His career in Head and Neck Surgical Oncology was born nurtured and matured during the 31 years of his academic/clinical practice at the University of Texas M.D. Anderson Cancer Center. In 1974, his fourth son, MacGregor was born. During his tenure at M.D. Anderson Cancer Center he rose through the ranks from Assistant Professor in 1972 to Associate Professor in 1976 and, finally, Professor and Surgeon in 1981. In 1998, he was honored with the Distinguished Alando J. Ballantyne Chair of Head and Neck Surgery. He is the author or co-author of over 200 published papers, book chapters and monographs. He has given invited lectures all over the world. Most recently (1999), he was selected to give the Hayes Martin Memorial Lecture at the 5th International Conference on Head and Neck Cancer. He has been President of the American Radium Society and President of the Society of Head and Neck Surgeons both in 1995 – 1996. His research interests and his expertise have been focused on cancer of the oral cavity, head and neck cancer in young people and treatment of the neck involved with metastatic cancer with a particular interest in various neck dissections. Dr. Byers is a member of many prestigious societies of which the Southern Surgical Association, the Texas Surgical Society, the American College of Surgeons and the Society of Surgical Oncologists are but a few. He is a peer reviewer for many medical journals and on the Editorial Board of three. 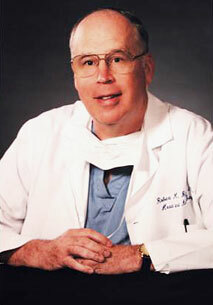 During his 31 years at the University of Texas M.D. Anderson Cancer Center he has participated in the surgical education of over 300 residents and fellows, many of who have gone on to become prominent members of the specialty. The youth community of Houston has benefited from his coaching expertise in baseball and basketball while he has indulged himself in hobbies of hunting, travel, and collecting toy soldiers.